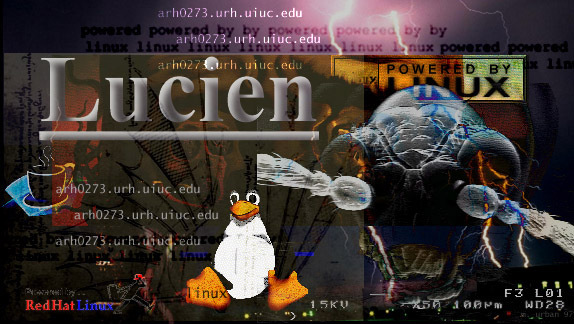 Welcome to Lucien! We are a Linux machine running off of a pair of Intel Pentium IIs, 768MB physical RAM, and a 33GB worth of drive space. a place for our friends' homepages. to try and get a really high uptime. Get rid of all the bacteria on toilet seats today!